Our Media Kits Will Get Your Book More Attention! "Great media kits show professionalism and compliment a book's genre." 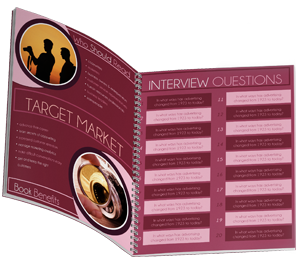 Before your schedule is filled with the important magazine, newspaper, and radio interviews, the interviewer must first be impressed with your media kit. It shows professionalism and will compliment your genre. 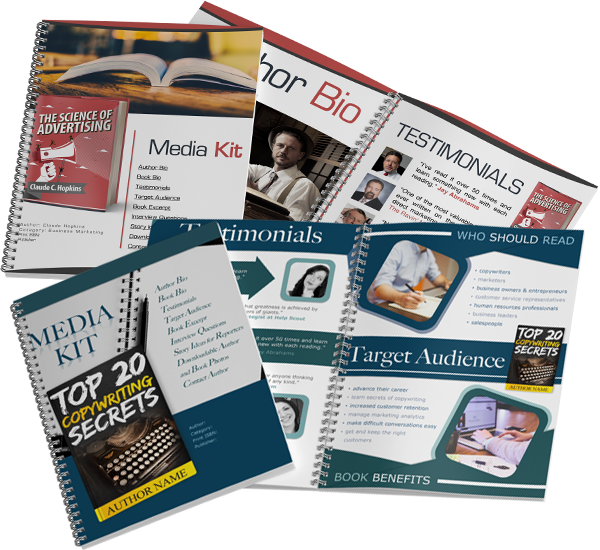 Your book's press kit will make or break your marketing efforts. What will these media kits do for you? Serves as your first marketing material! Professional Design Without the Hassle! Over 50 unique media kit page layouts that can be edited by anyone. Easily select and edit the page layout and design for each section of your author media kit. Our editable media kits are easy to change and delete sections all using Microsoft Word! Created by award winning designers specifically for top trending book genres. Get instant access to your very own Media Kits​ now! 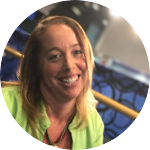 As authors, we are used to focusing on what our readers want, need and think, but when it comes to your media kit you have to adjust your thinking. Your Author media kit is not for your readers but for journalists, bloggers, book store owners and anyone else who might want to feature your book within their sphere of influence. Think of your media kit as a presentation for investors rather than as a tool to grab a new reader. There are over 4,000 new books each day competing for shelf space, and you have to convince people that you are worth their time! Open the PR Floodgates for Only $19! Media outlets and thought leaders alike are all too familiar with the run of the mill media kit. Stand out with beautiful and easy to use designs. I used Adazing's media kit and am getting rave reviews! We are so sure you’ll be happy with your purchase that we're offering you a “30-Day Money-Back Guarantee” to ensure customer satisfaction for our media kits. If, for any reason you wish to discontinue using the media kits, we will promptly issue a refund. Simply contact us at contact@adazing.com to speak to our customer care specialist about our 30-Day Money-Back Guarantee! Get instant access to our Media Kits now! With the great layouts and simple to edit pages, you will be up and running with your new media kit in a matter of hours!